The equinox is a time of balance - from here we welcome fall with a bittersweet last taste and breath of summer. Join us in this yogis' final farewell to the summer of 2018! At a lakeside location just 90 miles from Chicago, this retreat is your chance to sit and listen--to detach from the daily life in our busy city. Our rejuvenating equinox retreat includes: yoga and meditation; sound healing with crystal quartz singing bowls and essential oils; exquisite plant-based meals*; peaceful, inspiring live music; gentle lakeside swimming and campfires; organic apple picking; breathtaking Lake Michigan dune-side views; community connection; and of course, complete relaxation. Together, Ahimsa Yoga Studio co-owner, Masin Ouksel and certified yoga teacher, Madison Dillenbeck will lead yoga and meditation sessions designed to awaken your body to each day and restore your peaceful relaxing bliss each night. Masin and Madison will help you ground in the balance of the equinox and let go of the summer in a meaningful way. We'll finish the day sharing a delicious, nourishing dinner, a lakeside campfire, live music, and star gazing. 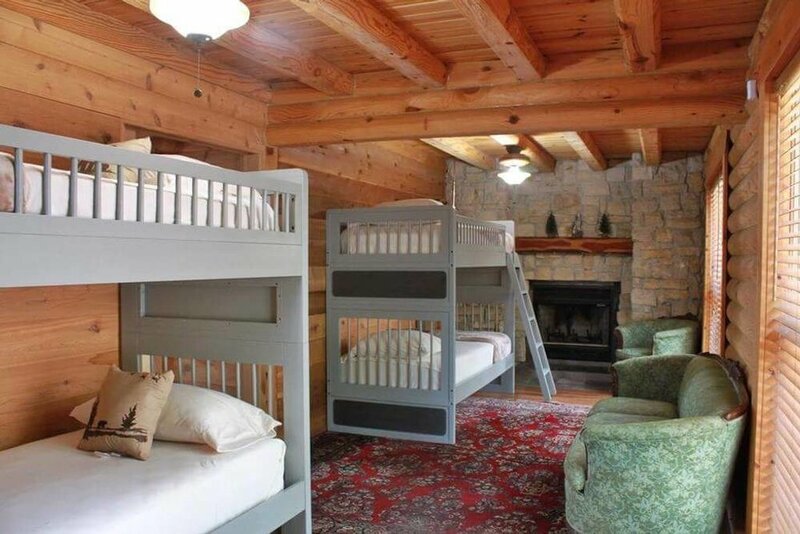 The large, luxurious log cabin we will be staying in has several options for sleeping arrangements. Please choose your preference at the "Sign Up!" button below, and we will reserve it for you. Once you have registered (payment due at time of registration), we will be in contact with you about all the schedule details, directions, packing suggestions, etc. and will ask you about your dietary considerations. We truly are looking forward to welcoming you to the relaxation and rejuvenation only a retreat with Ahimsa Yoga Studio can offer. Included: all meals (dinner Friday through breakfast Sunday), two nights stay, and all yoga/meditation sessions. Full payment is due at time of registration. If you need to cancel your registration prior to 9/1/18, you will receive a full refund, (less any processing fees). After 9/1/18, we will issue a 25% refund if you must cancel. *Celebrated Chicago Chef Meagan Lombaer of The Radical Larder will travel with us and provide all meals. The weekend's food is designed to enliven the last bits of summer while providing needed grounding for the coming fall. The menu is vegan and gluten-free and will provide hearty wholesome nutrition for an action-packed day. Chef Meagan uses whole organic ingredients prepared in a variety of ways to ensure that you get the most out of what you eat. https://www.radlarder.com/about-feed. Questions? Email us at ahimsayogaevents@gmail.com.